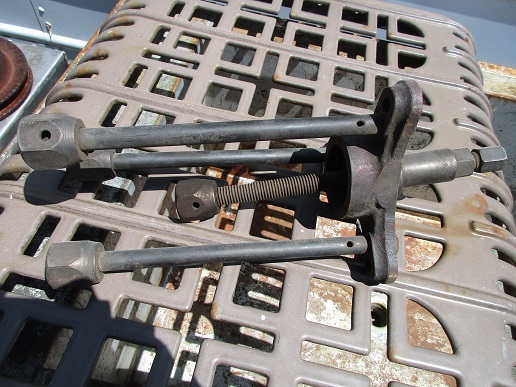 Model T Ford Forum: Anyone neckerize this 3-legged KRW puller? Anyone neckerize this 3-legged KRW puller? Model T Ford Forum: Forum 2018: Anyone neckerize this 3-legged KRW puller? I don't see a main tool number,some of the nuts have P-4 and 4609 stamped into them with some minor variation. Any help appreciated,thanks. he might or should know.